ROME – World Jewish Congress President Ronald S. Lauder met with Pope Francis at the Vatican on Tuesday, together with a delegation of senior WJC leaders from around the world, and thanked him for his dedication to Middle East peace, for speaking out against anti-Semitism, and strengthening Jewish-Catholic relations. Lauder announced during the meeting that the World Jewish Congress would plant 18 olive trees in Israel in recognition of the Pope’s efforts. During the positive and productive meeting, the sides discussed a range of topics including the importance of interfaith dialogue at a community level, and the need for direct negotiations between Israel and the Palestinians to bring about a peaceful solution. Pope Francis stressed the utmost importance of engaging in dialogue with Muslims, underscoring that it is the only way to bring peace and stability to the region. 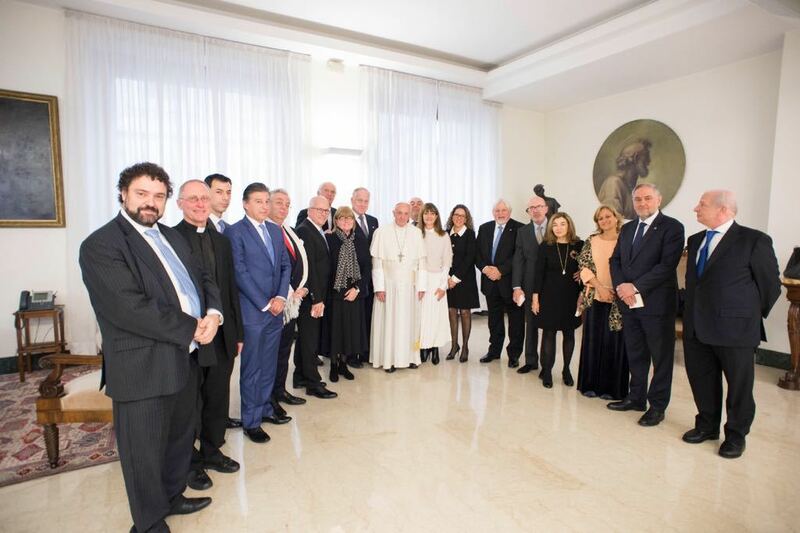 WJC President Lauder expressed his deep appreciation to the Pope for his active dedication to these causes, and the sides discussed a number of future projects to embark on together. Lauder also voiced his concern regarding attacks against Christians in the Middle East, and the deafening silence from world leaders about their plight, and emphasized the need to stand up on behalf of all persecuted minorities. 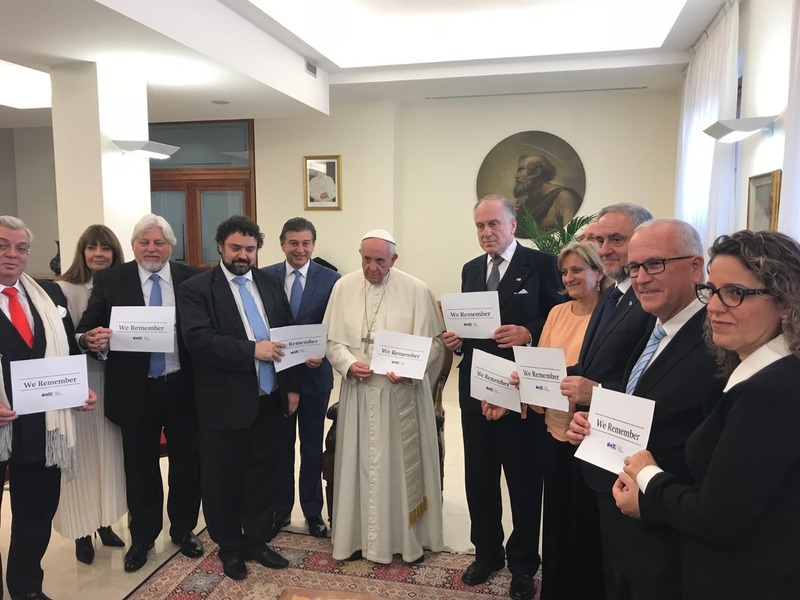 In a symbolic act, Pope Francis also joined the World Jewish Congress’ We Remember campaign, to mark International Holocaust Remembrance Day.